You’ve seen her as the lovely, leading lady in BORNS’ “American Money” music video, in several Juicy Couture and Hollister campaigns, and most recently, in music phenomenon, Pink’s “Beautiful Trauma” music video. It’s clear to see that the multifaceted and stupendous Larsen Thompson is one of the most in-demand models and dancers on this planet. Words aren’t enough to describe just how incredible Larsen Thompson is. She’s a brilliant model who books some of the greatest gigs and we always enjoy seeing her beautiful face and her million-dollar smile in various, renowned projects. From Dior, to BCBGeneration, GapFit, and many more, Larsen Thompson’s unrivaled beauty has shined in so many campaigns for some of the biggest, haute couture brands out. Aside from being a stunning model, Larsen Thompson stands out in the industry as she isn’t just a pretty face, she’s insanely talented too. In fact, she’s known for being a dancing sensation who has showcased her indescribable, dancing talent in many music videos, award shows, commercials and beyond. It’s clear to see that Larsen Thompson seriously can’t be beat. Larsen Thompson is also one sensational, fashion icon and she definitely has and continues to make fashion history with all of her outstanding OOTDs. We seriously wish we could live in Larsen’s closet and spend a day going shopping with her because anywhere and everywhere she goes, she always looks so chic and classy. In addition, Larsen Thompson is definitely one of the greatest role models anyone can ask for. She shows what it’s like to work hard and see positive results come from it and despite all of her massive success, Larsen never fails to be one of the most down-to-earth and kind-hearted individuals out. Larsen Thompson is the life of the party and her radiant and outgoing personality makes her someone you always want to be around. Larsen is everyone’s happy pill and she truly deserves all of her successes and the many, many more coming. I, Alexisjoyvipaccess had a fantastic time covering the 2017 Skechers Pier To Pier Walk and had a wonderful time catching up with and interviewing the remarkable Larsen Thompson again at the event. 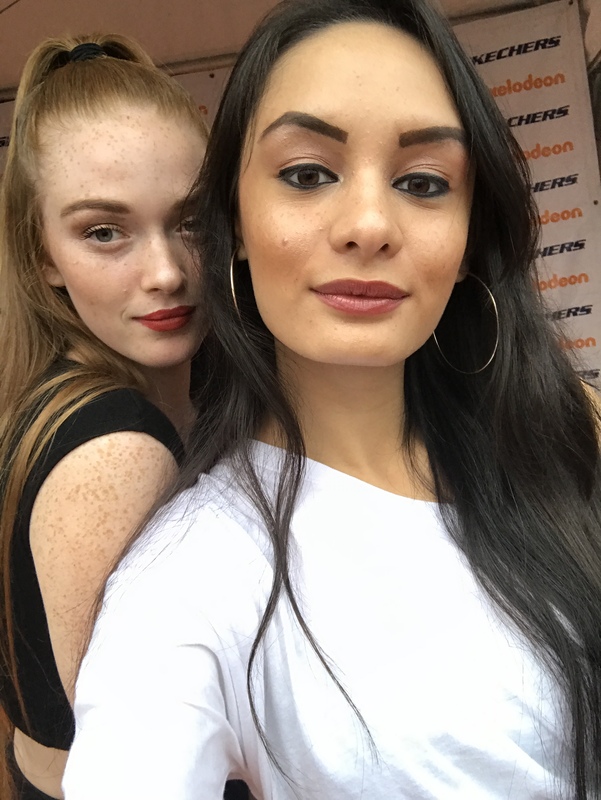 Larsen Thompson dished exclusively to Alexisjoyvipaccess all about what it was like for her working on Pink’s “Beautiful Trauma” music video, which celeb she would like to work with in a future project, her exciting, upcoming projects, and so much more only in our VIPAccessEXCLUSIVE updated interview. Larsen Thompson even took on a fun speed round and revealed what her go-to dance move is, what her beauty product must-have is and more – hear what she had to say in our VIPAccessEXCLUSIVE updated interview below. Thanks for another super fun interview, Larsen! Check out my updated VIPAccessEXCLUSIVE interview with the spectacular and dazzling Larsen Thompson at the 2017 Skechers Pier to Pier Walk below! Previous VIPAccessEXCLUSIVE: “Hey Arnold! : The Jungle Movie” Cast Gives Advice To Help Arnold Find His Parents In Their Interview With Alexisjoyvipaccess – Tune In To The Movie 11/24! Next VIPAccessEXCLUSIVE: Jason Drucker Interview With Alexisjoyvipaccess At The 2017 Skechers Pier To Pier Walk!